Whether you’re looking for a light moisturizer to use throughout the day or a heavy night cream, we have all-natural lotions made from organic ingredients that your skin will love. Moisturizers are a fundamental part of any skin care routine. They rejuvenate your skin after cleansing, seal in protective oils, repair skin and protect it from external damage. With moisturizers fulfilling so many essential functions for vibrant skin, it is important that they do not contain any ingredients that could counteract their benefits, like parabens, sulfates, or petroleum. Our moisturizers are gentle and designed to be suitable for sensitive or irritable skin. We create our own formulas that focus on using the maximum amount of organic ingredients, and manufacture our blends in the United States. New customers receive three free samples! Browse our natural and organic moisturizers today. RainShadow Labs creates organic moisturizers that can be used as is, or blended with essential oils or your favorite ingredients to create a custom made moisturizer. You can use our wholesale lotions to create your own skin care line, or we can make the product for you with a private label partnership. We offer our lotions in bulk at wholesale prices for your convenience and budget. Never run out of product with RainShadow Labs wholesale online. Browse our products today. RainShadow Labs has facial moisturizers that are designed to be applied to delicate skin without weighing it down. Our facial moisturizers are designed to be light and refreshing, and suitable for use under make up. 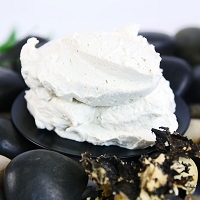 We offer several body butters that can be combined with your favorite ingredients. 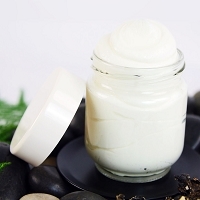 Body butters are thick moisturizers that last all day. Browse our body butter selection today. Aloe is a non-greasy moisturizer that helps repair damaged skin. Raspberry seed oil supplies your skin with vitamin E and locks in moisture. Cocoa butter is a thick moisturizer suitable for very dry skin. Cocoa butter moisture lasts all day. Jojoba oil is a rich and luxurious moisturizer that will leave your skin feeling smooth, supple, and hydrated. Our antioxidant moisturizer is designed to prevent free radicals from breaking down your skin’s valuable collagen. Try it today for a skincare product that prevents cellular breakdown. Hemp seed oil contains unique fatty acids that promote skin rejuvenation. Try one of our hemp formulas for smooth, younger, skin. Shea butter quickly moisturizers your skin and offers deep, long lasting protection and hydration. Coconut contains many beneficial nutrients, including selenium. It is a light yet effective moisturizer.